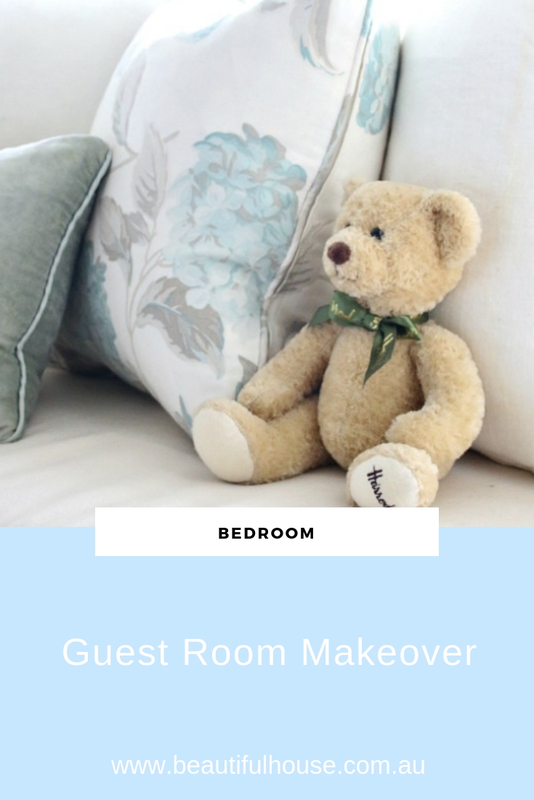 With the warmer season nearly here I have started my spring cleaning and freshening up my home. One of the first rooms I have started with is the spare room. 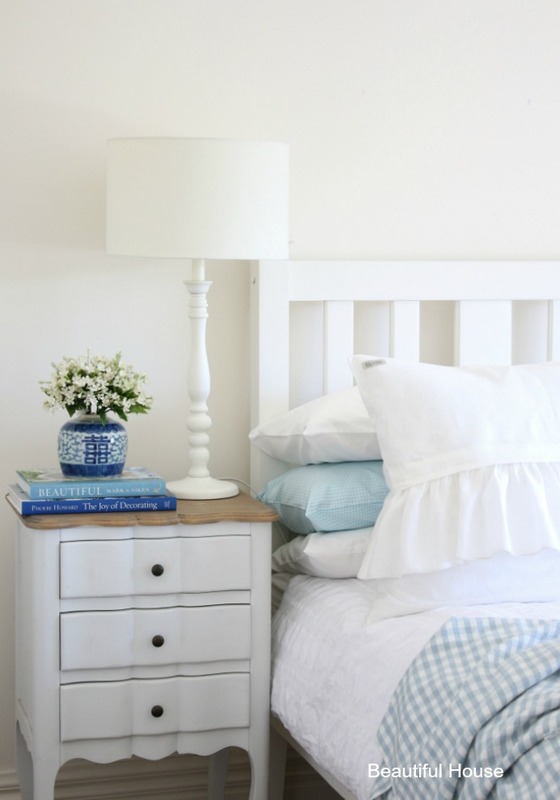 If your spare room has been collecting all the bits and pieces you no longer need in your home now is the perfect time to tidy it up and create an organised and comfy retreat. I have added this floor rug to one side of the bed. When you open the door to the spare room you can see directly in to this side of the room. Having one rug on this side of the room works really well when placed just under the bed. The rug has covered up the carpet and given the room a fresh and updated look. 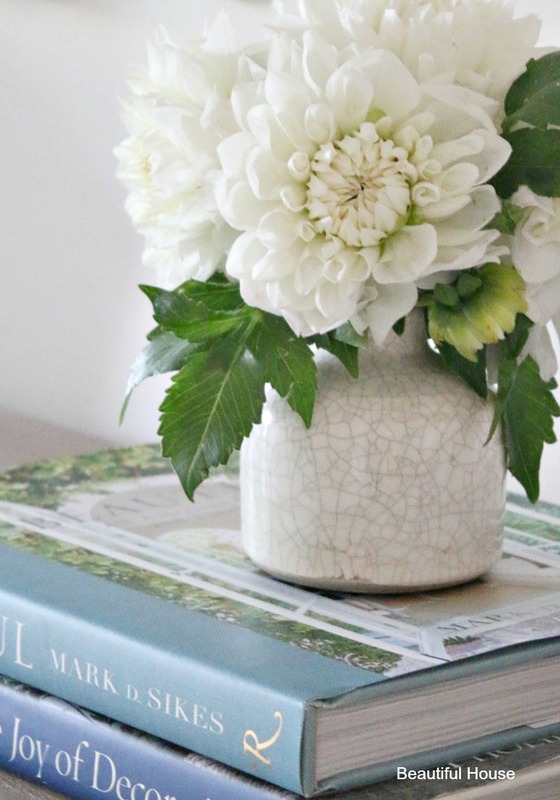 I shopped my home and created a small pretty vignette with two of my favourite decorating books and a ginger jar full of some pretty white flowers (faux) from Adairs. 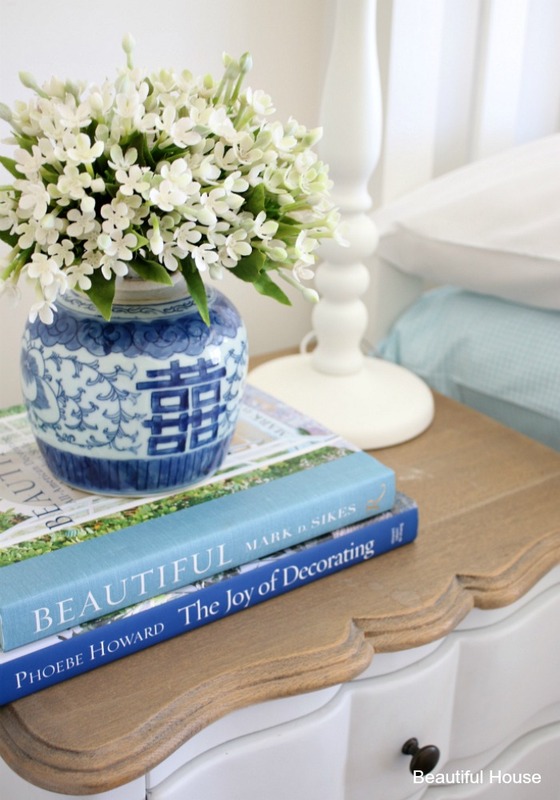 “Beautiful” by Mark D. Sikes and “The Joy Of Decorating” by Phoebe Howard. 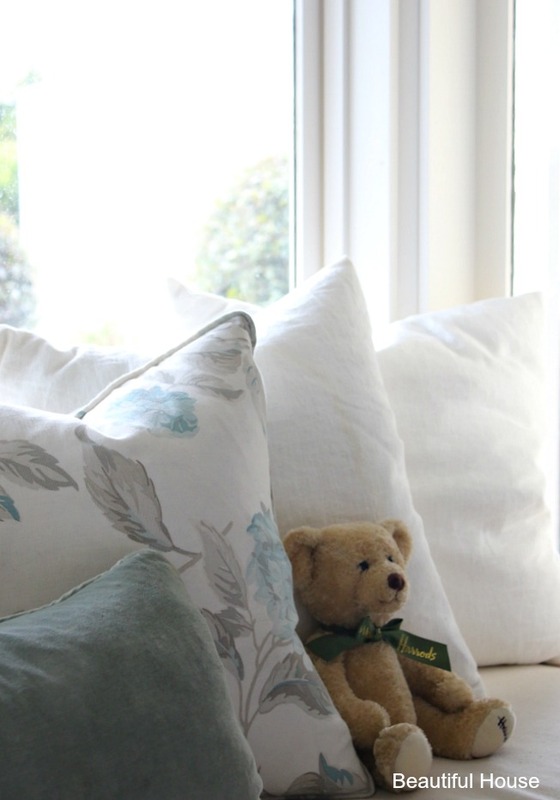 I have used this beautiful cushion from Lily and Lulu above on the bed and have added some other scatter cushions from Laura Ashley to the window seating. In the window seat I have used a row of plain coloured cushions with feather inserts from Ikea and added some soft blue cushions as the finishing touch. 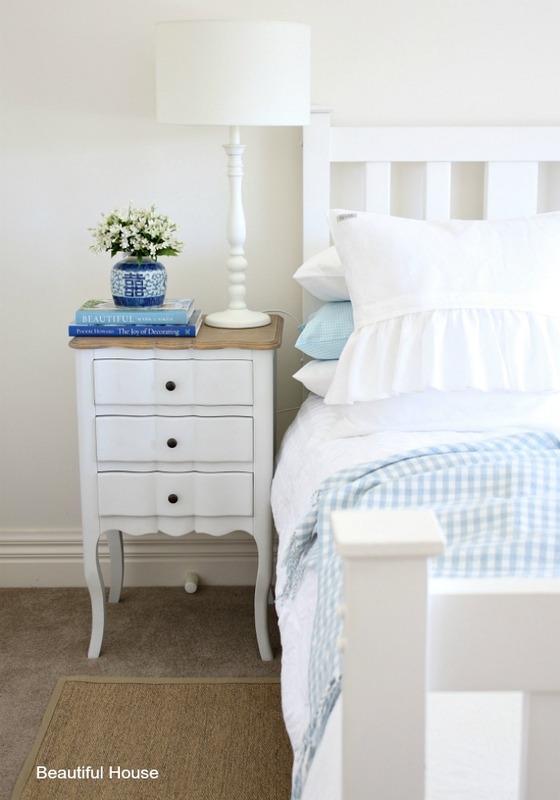 I wanted to give the room a bright and cheery feel so I have kept colours to neutrals and soft blues. 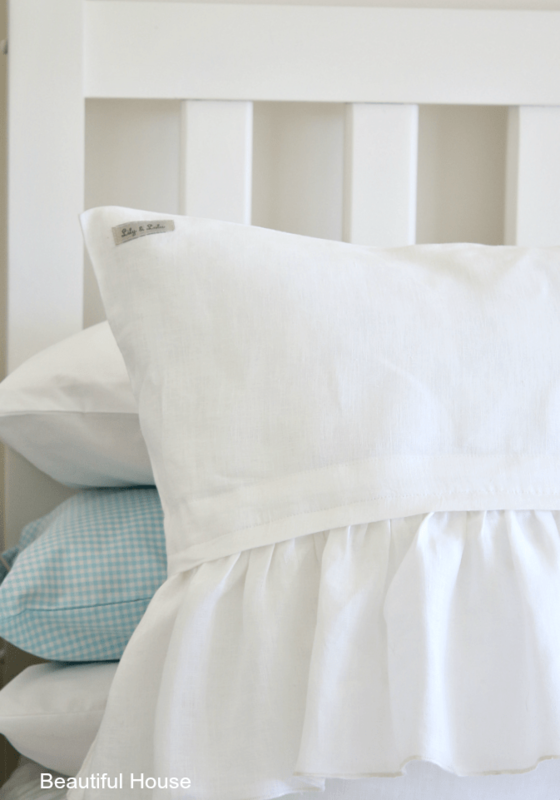 If you are expecting guests, don’t forget to add a fresh bouquet of flowers to the bedside table. This room is just off the entrance in my home, so its important to keep it looking organised and tidy. Are you about to start your spring cleaning? Which room will you start in first?